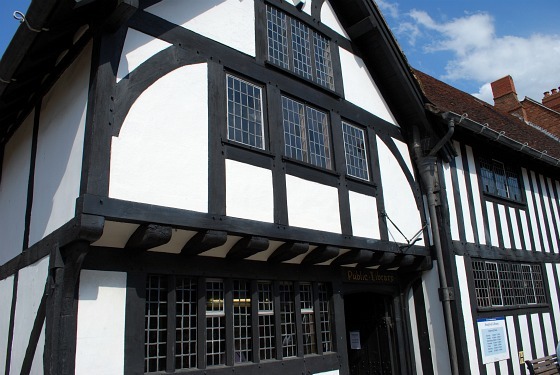 You’ll find all the shops and restaurants you’d expect along the main streets of Stratford upon Avon, but it’s worth spending some time just walking down the less busy streets too. 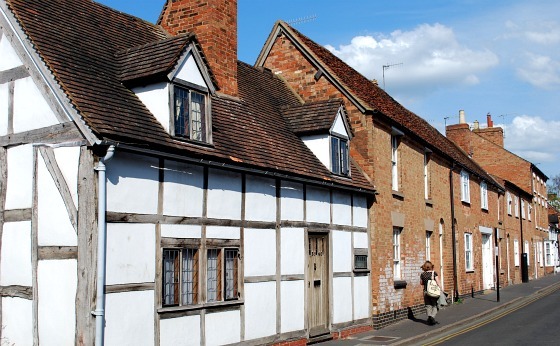 You’ll find attractive Tudor buildings, pretty cottages, lovely pubs and a busy market selling quality produce. In particular look out for the Black Swan pub, known as the Dirty Duck by actors, which has a long tradition of thespian drinkers. This is an extract from our free Shakespeare Country Guide. 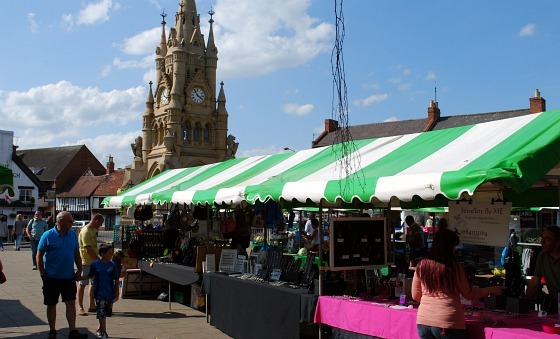 Stratford Market – The main market day is Friday and in recent years the market in Rother Street has moved towards selling top quality produce and crafts. It’s a pleasure to walk around. The Dirty Duck – The historic pub by the river near the RSC theatre which was frequented by actors. Tramway Bridge – This used to be part of the horse drawn tramway to Gloucestershire, but is now a pedestrian bridge over the River Avon. The Canal Basin – Where the canal joins the river, you’ll find a lovely marina and barges which act as retail units. Cox’s Yard – A converted mill which houses bars, cafe’s and restaurants right next to the Tramway Bridge. The Memorial Garden – Located on the street called Old Town near to Hall’s Croft is a small free to enter memorial garden which we really liked. Ely Street – All the streets in the centre of Stratford are lined with historic buildings, but we really liked this street because it’s so much quieter than the others so you get the chance to appreciate the buildings. 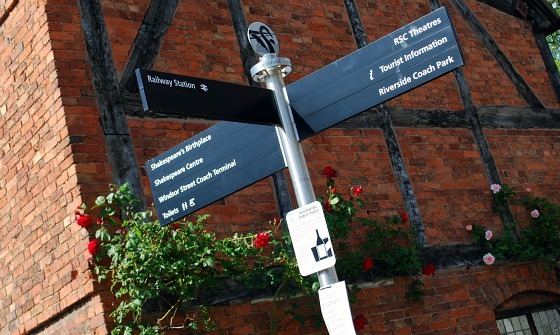 Shakespeare Country – Official website with accommodation, special offers and more information.